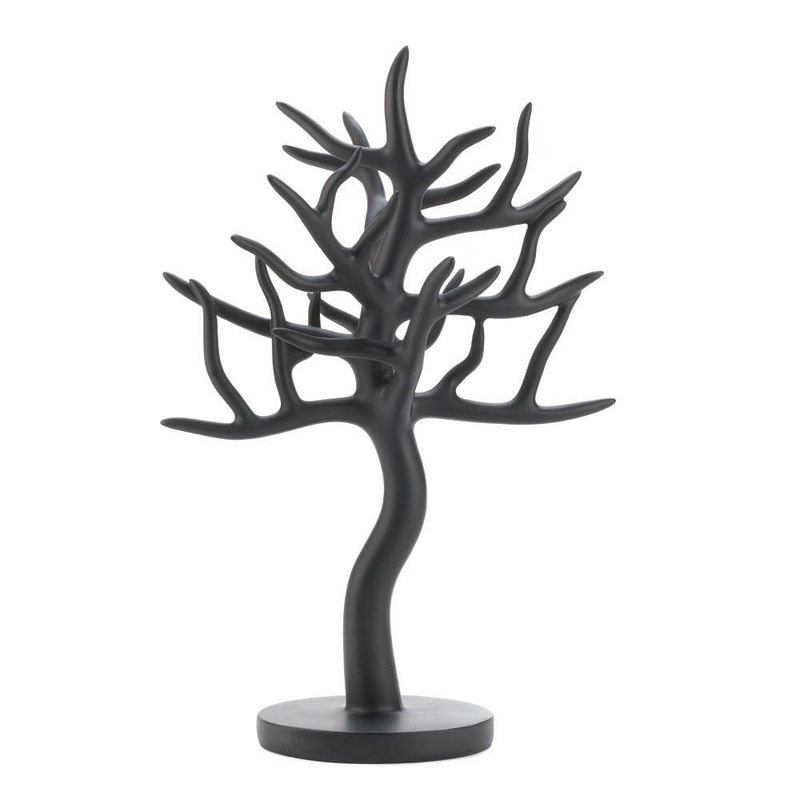 The many branches of this sculptural jewelry tree are ready for you to decorate with your necklaces, rings, earrings, and bracelets. 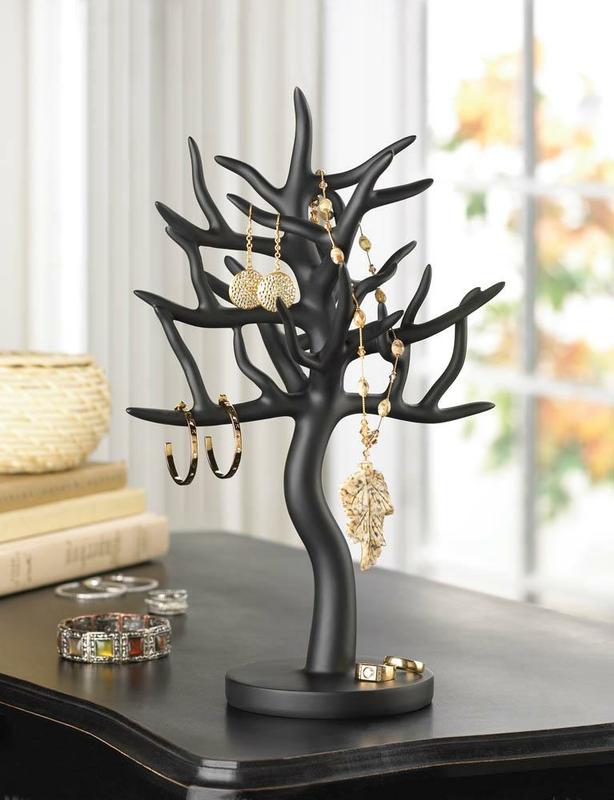 The matte black finish of this jewelry stand will show off your beautiful jewelry while keeping it organized and within easy reach. Weight: 1.2 lbs. 8" x 6.38" x 12.5"h. Polyresin, Felt Pads. Accessories not included. 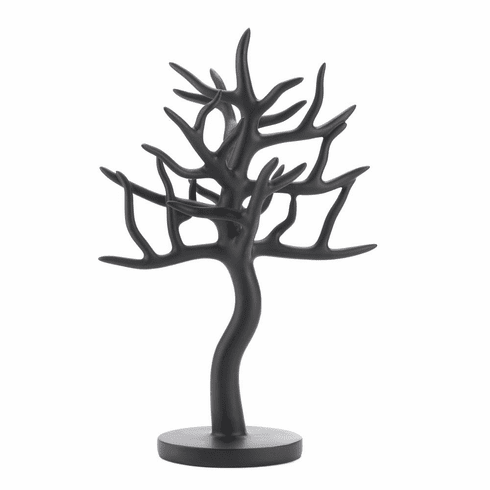 UPC: 849179009342.